Perhaps you work in the aviation or aerospace industry and are looking to advance your knowledge, skills, abilities, and opportunities. Pilot, air traffic controller, meteorologist, aviation educator, safety officer — whatever position you currently hold, a graduate degree in aeronautics could help take your career to new heights. Maybe you want to earn that graduate degree immediately upon completion of your undergraduate degree in a related field. Whatever your circumstance, this could be the program to help you excel. Embry-Riddle offers a master’s degree in Aeronautics to help aerospace and aviation professionals pursue additional career opportunities. Air traffic control personnel, flight crew members, flight operations specialists and technical representatives within the aviation and aerospace industry require a technical skill set. Whether you already work in one of these roles or you aspire to, a Master of Science in Aeronautics (MSA) may help you reach your goals. Offered jointly by Embry-Riddle Aeronautical University and the Singapore Aviation Academy (SAA), the 36 credit-hour MSA degree program is similar to the Master of Business Administration in Aviation degree but with less of a business and management focus, and more of a technical, operations and safety oriented focus. As some courses are highly technical, more of an aviation background is needed. 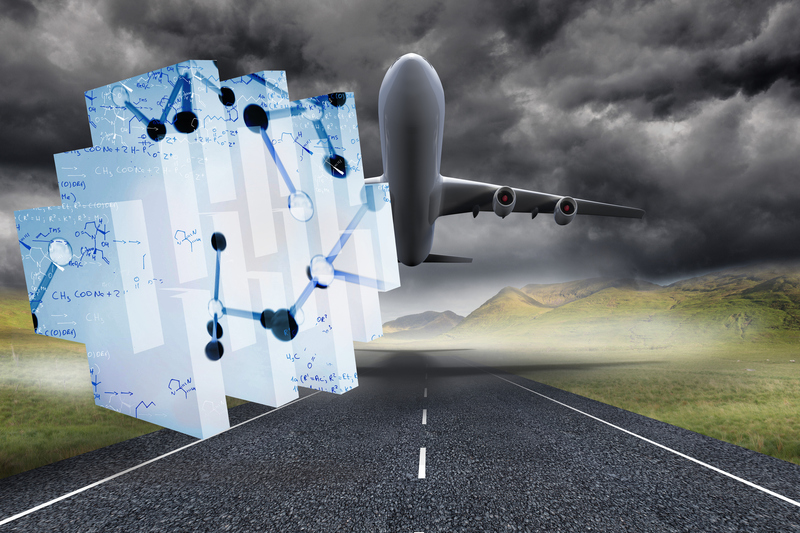 Concentrations in Aeronautics, Safety Systems, Education Technology, Operations, Human Factors in Aviation Systems and Unmanned Aircraft Systems. Already Embry-Riddle’s largest graduate program in the United States, the MSA program is an exciting addition to the Embry-Riddle Aeronautical University offerings in Singapore as it will give students the chance to be prepared for senior-level positions and critical leadership roles demanded in Singapore’s thriving aviation and aerospace industry. Most terms begins with two five-day classroom sessions at SAA and continues with online interaction between students and the instructor. The program is designed to be completed in six terms spanning 24 months. All Master of Science in Aeronautics (MSA) applicants must have earned a baccalaureate degree from an accredited degree-granting institution with a cumulative grade point average (CGPA) of 2.5 or higher on a 4.0 scale. Applicants who already possess a master’s degree or have completed graduate coursework from an accredited degree-granting institution must also have a 3.0 CGPA or higher at the graduate level. Applicants must submit a statement of purpose and successfully complete an admissions interview with the College of Aeronautics chair and admissions committee. Step 1: To be considered for admission, applicants must apply online, pay the SGD 50 application fee and submit all required documentation before the deadline. Embry-Riddle Aeronautical University offers the Master of Science in Aeronautics (MSA) at the Singapore Aviation Academy (SAA) through the Civil Aviation Authority of Singapore (CAAS). Embry-Riddle's presence at the SAA is evidence of Singapore's interest in high-quality aviation and training as well as opportunities for research and information exchange. The Embry-Riddle MSA program in Singapore is the same program offered in the United States, Europe and online, with enhancements to satisfy the unique demands of aviation management professionals in Singapore and the surrounding regions. The Master of Science in Aeronautics (MSA) is a multidisciplinary program that enhances your knowledge of behavioral sciences, data analysis, modeling and simulation, project management, systems integration, applied research, statistics, technology, and, most importantly, your specialization subject matter. You have the option to select from eleven different specializations (offered at the Daytona Campus and/or Worldwide Campus). With the MSA degree, you can explore opportunities in airline and airport operations and management, air traffic systems planning, aviation safety, education, industrial safety, NextGen, research, and systems integration. Employers around the world need graduates who are aviation and aerospace subject matter experts and have in-demand skill sets such as project management, systems integration, and applied research experience. You will leave Embry-Riddle ready to meet the needs of government and industry. Being part of the Embry-Riddle Aeronautical University community is a major advantage as you continue your education. Your faculty are experts in their fields and have both government and industry experience to back up their instruction. The labs and facilities in which you learn are built to give you one-of-a-kind experiences in real-world scenarios. In the classroom, you are with peers who share common interests but bring unique, global perspectives and experiences to the learning environment. And the alumni network is outstanding. The Master of Science in Aeronautics (MSA) degree program is a broad-based, flexible degree program designed to provide both the aviation/aerospace professional and students who are interested in a career in aviation with a rigorous academic approach to an aviation/aerospace oriented multidisciplinary degree. It provides an unequaled opportunity for pilot flight crew members, air traffic control personnel, flight operations specialists, meteorologists, Industry technical representatives, unmanned aircraft systems operators, and aviation educators to enhance their knowledge and pursue additional career opportunities. The MSA degree is designed to provide the student with a broad research background and technical knowledge In the core curriculum and the opportunity to select from eleven different specializations to pursue their chosen career path in the aviation field. The MSA program consists of 33 credits. Students must complete the MSA core requirements consisting of 12 credits, and then complete the 9 credits that make up the selected specialization In one of the following: Air Traffic Management, Aviation/ Aerospace Education Technology, Aviation/Aerospace Management, Aviation/Aerospace Operations, Aviation/Aerospace Safety, Human Factors, Aeronautics, Space Studies, Unmanned Aerospace Systems, or small Unmanned Aircraft Systems. The four (4) core courses should be taken as the first four courses in the degree program. Students must also complete 12 credits of coursework that Includes either a Thesis (6 credits), or a Graduate Capstone Project (GCP) (3 credits). Remaining credits are made up of graduate level aeronautical science electives. MSA students can also complete courses leading to a multiple specializations. Additional specializations must be declared prior to the completion of the degree program. Students wishing to complete a dual specialization must have 9 unduplicated credits In each of the specialization and will complete a total of 33 (GCP) or 36 (Thesis) credit hours In order to graduate. Additional specializations may also be taken. ASCI courses must be approved by Program Coordinator prior to enrollment. Note: Only one BA/MGMT courses may be selected with permission of the Program Coordinator. Note: One BA/MGMT Courses may be selected with permission of the Program Coordinator. Students who are accepted in the BSA-MSA 4+1 program, will spend three academic years in undergraduate-level study and then, during their senior year, will be allowed to take up to three graduate-level courses from their selected MSA specialization to replace an equal number of Professional Development elective courses in the BSA degree. Before selecting the 3 courses to be taken, students must confer with an advisor to ensure that the courses selected are suitable and align with their selected MSA specialization (a grade of B or better must be achieved). Upon completion of the BSA requirements, students will be enrolled in the MSA and can complete their degree in one year. In any graduate course taken by an undergraduate student, a grade of B or better must be earned. If a grade of C or F is earned in any of the courses taken in lieu of the Professional Development elective courses in the BSA degree, the student will be removed from the program and may continue to complete the BSA degree only. Ready for your career to take flight? Make the next step by seeing what student life is like at our Worldwide Campus. Embry-Riddle Worldwide gives you the freedom to take courses online at your convenience. And with locations around the globe, there’s always on-site support nearby. Although students may not always physically be in a classroom, they still gain personal, hands-on experience using tools like our new virtual crash lab. Gaming technology has enabled us to teach accident investigation as if you were there in person. Students also have the opportunity to complete research while working with faculty on their capstone projects. As a member of the ERAU network, you’ll gain access to experienced faculty, industry professionals, fellow students, and professional organizations. Engage with your peers regularly via discussion boards, blogs, Wikis, and video conferencing. The Master of Science in Aeronautics (MSA) degree program is a broad-based, flexible degree program designed to provide both the aviation/aerospace professional and students who are interested in a career in aviation with a rigorous academic approach to an aviation/aerospace oriented multidisciplinary degree. It provides an unequaled opportunity for pilot flight crew members, air traffic control personnel, flight operations specialists, meteorologists, industry technical representatives, unmanned aircraft systems operators, and aviation educators to enhance their knowledge and pursue additional career opportunities. The MSA degree is designed to provide the student with a broad research background and technical knowledge in the core curriculum and the opportunity to select from eleven different specializations to pursue their chosen career path in the aviation field. The MSA program consists of 33 credits. Students must complete the MSA core requirements consisting of 12 credits, and then complete the 9 credits that make up the selected specialization in one of the following: Air Traffic Management, Aviation/ Aerospace Education Technology, Aviation/Aerospace Management, Aviation/Aerospace Operations, Aviation/Aerospace Safety Systems, Human Factors, Aeronautics, Space Studies, Unmanned Aerospace Systems, or small Unmanned Aircraft Systems. Students wishing to complete a dual specialization must have 9 unduplicated credits in each of the specializations and will complete a total of 33 (GCP) or 36 (Thesis) credit hours in order to graduate. Additional specializations may also be taken. The MSA degree may be taken through the Worldwide or Daytona Beach Campus. Consult your Academic Advisor for information regarding courses offered only through the Daytona Beach Campus or common courses that may be taken at either campus to satisfy degree requirements. For courses taken at the Daytona Beach Campus, term length and availability may vary. Students may complete a thesis in place of a capstone. Students electing the thesis option must take the GRE. Refer to Master of Science in Aeronautics Thesis Guide for minimum GRE scores and additional guidance. Students should assume responsibility to see that prerequisites are satisfied. The prerequisite subject knowledge for a specific graduate course must be satisfied before enrollment in that specific course is permitted. Students may enroll in other graduate level courses as they meet any specific prerequisite knowledge required. MSA/ASCI 602, MSA/ASCI 662, MSA/ASCI 670 and MSA/ASCI 604 -or- MSA/ASCI 674 must be taken as the first four (4) courses of the degree program. Choose at least one of the eleven (11) specializations. MSA students may complete courses leading to multiple specializations. Students wishing to complete multiple specializations must have unduplicated credits in each of the specializations. Students must submit an evaluation request form to declare the desired specializations. The MSA/ASCI 674 core requirement option must be taken for students who select the Aviation/Aerospace Management specialization. Note: One MGMT/BA course may be selected with permission of the Program Chair/Coordinator. The MSA/ASCI 604 core requirement option must be taken for students who select the Aviation/Aerospace Safety Systems specialization. The MSA/ASCI 604 core requirement option must be taken for students who select the Human Factors in Aviation Systems specialization. Students declaring the sUAS Operation Specialization or registering for courses within it must be U.S. citizens or permanent residents and must be physically located within the U.S. when registering for and while participating in the UNSY 520 course. Students must contact their Academic Advisor regarding additional cost, possible travel, and FAA Testing, prior to enrolling in the first course of this specialization, UNSY 515. Those already in possession of an FAA Part 107 Remote Pilot certificate, prior to starting the specialization, may complete ASCI 530, in lieu of UNSY 515 to ensure sufficient credit, research experience, and topical exposure. Embry-Riddle alumnus Joshua Kutryk is one of the Canadian Space Agency’s newest astronauts. Dimitrios Garis, an Aeronautics master's student, works with a team of Embry-Riddle professors and students to study Hurricane Irma's mass evacuation and provide recommendations for the future.